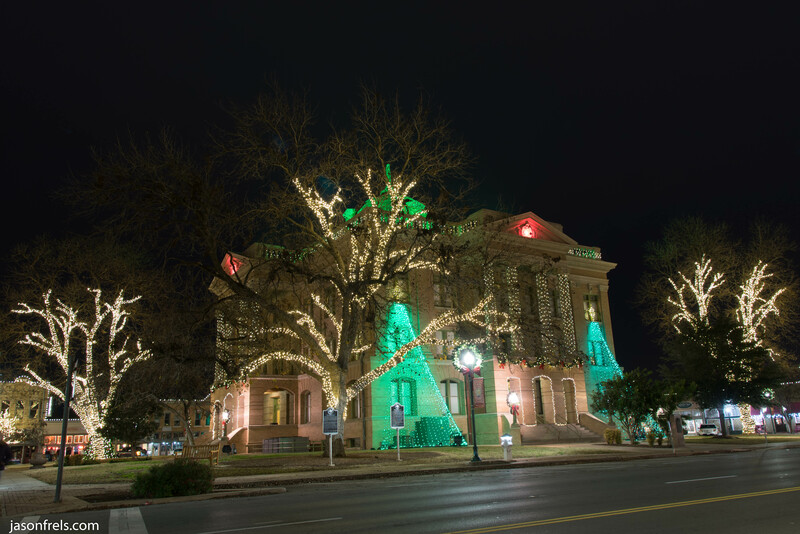 Georgetown Texas is the county seat where I live and the county courthouse is usually decorated well for Christmas. 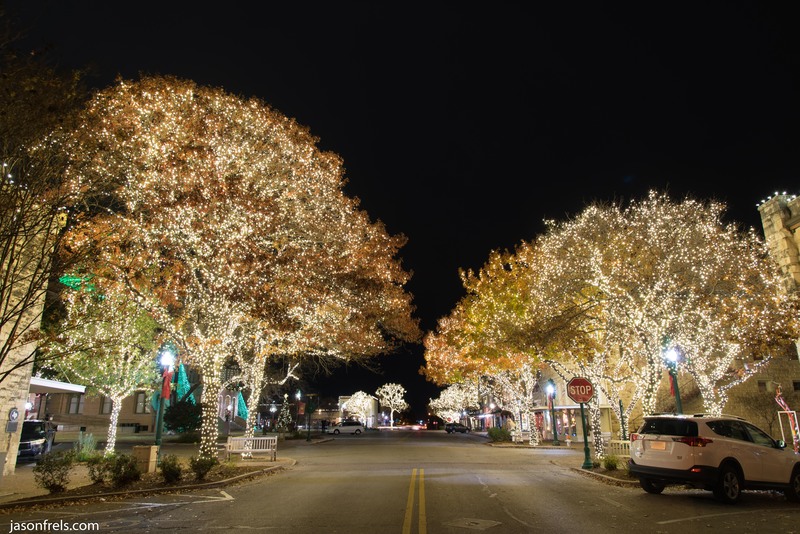 I went down Christmas evening when there wouldn’t be much traffic and took some photos. Below is a two image panorama of the back side of the courthouse. I was across the street and my 24mm lens was not quite wide enough to take in the entire scene, so I took a couple for a panorama, waiting for cars and people to pass. There is a bit of distortion from the wide angle, but I think it looks good. 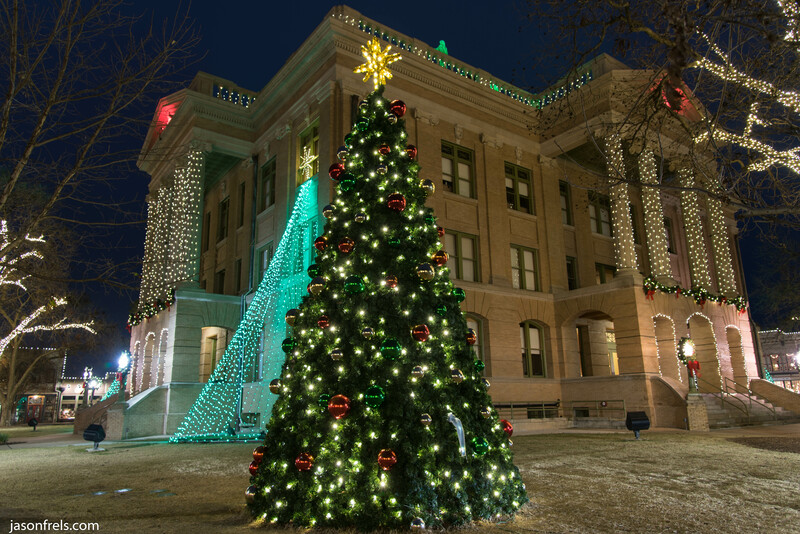 The Christmas tree on the corner of the Courthouse grounds. The front of the courthouse looks mostly like the back. It was very overcast, so there wasn’t much of a twilight and the sky went quickly black. The below shot is from the middle of the street, looking toward the courthouse. I wanted to capture the oaks that line the streets. There wasn’t much traffic, so I had time to take the tripod out into the street and shoot a few pictures.